When people suffer from medical conditions, illnesses or injuries that interfere with their ability to move and function normally, physical therapy is there to help them get back to normal. 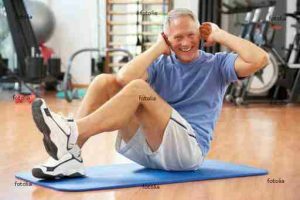 Physical therapy is suitable for people of all ages. For successful treatment of these medical conditions and ailments, a good therapy program is of utmost importance. Not only will it help in the rehabilitation process, it will encourage these individuals to change their routines and lifestyle. This is so as to improve their overall health and wellbeing while putting in place structures to prevent the reoccurrence of injuries. It reduces or eliminates pain. It is an alternative to drastic treatments such as surgery. Helps you recover from conditions such as stroke. Helps athletes recover from and prevent future sport-related injuries. At New Beginning Physical Therapy we not only guide you through the recovery process but our physical therapists in Palm Desert, CA will teach you the importance of lifestyle changes you need to make. We will facilitate the exercises while you work on changing your lifestyle. The following are some lifestyle changes you can make. Foods have an effect on your blood sugar levels. You will need to focus on eating food portions that your body needs. Eat plenty of vegetables, fruits, and whole grains. You will also need to eat lean meats and use nonfat dairy products. The physical therapists at New Beginning Physical Therapy will also warn you against eating foods that have high sugar and fat content. Visit your doctor regularly for checks on cholesterol, blood pressure and ENT. Also, visit a foot doctor for checks on nerve damage. Visit our offices in Palm Desert, CA for more information on the same.